"prof.ITplus tracks stock brilliantly, I can put anything in the warehouse and I know immediately where it is, which is all down to the system. It’s so simple and it’s the simple things that make all the difference." Stock Control Management Software gives you the ability to monitor, control and optimise your stock levels. Not only does excellent stock management help your business become known for excellent service, it helps manage customer expectations and cash flow. If you want to remain competitive, managing customer relationships and expectations is crucial. This is why every organisation needs to prioritise stock management. The Stock Management module in prof.ITplus drives efficiency up. 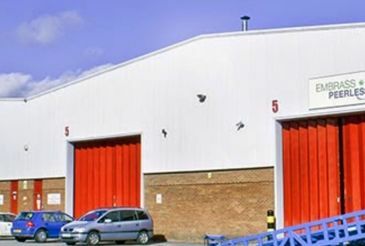 No more stockpiling of slow-moving, expensive stock that occupies valuable warehouse space. prof.ITplus uses historical data, sales forecasts and seasonal trends to identify minimum, maximum and optimum stock levels for each product. The system will flag up when replenishment is required and it can even auto-generate a Purchase Order when the minimum stock level is reached, helping with warehouse management. How does Stock Management Software work? Using barcode scanning technology, prof.ITplus takes control of your stock and provides total visibility. You’ll be able to track stock movements, including purchases, returns and relocations, view product availability and identify bin locations at a glance. You’ll have complete access to your stock profile in real-time, at any time. Never keep customers waiting for their order again. Sophisticated automation prevents profit sitting in dead stock. Stock Management within prof.ITplus is fully integrated with all other aspects of the system and is designed with profit maximisation in mind. Powerful reporting in the stock screens allow you to make fully informed decisions about your business and stock levels. Use prof.ITplus to ensure you’re not investing unnecessarily in stock. Only buy what prof.ITplus reports will sell quickly. A few clicks of the mouse will reveal your fast-moving, highly profitable goods; these are the ones to buy in bulk for greater margins. prof.ITplus supports a perpetual stock-taking system whereby a section of stock is counted and tracked every week. The perpetual stock-take or ‘rolling stock-take’ may take a few employees only an hour a week. As a result it means at any one moment in time the business has a good level of accuracy with regard to its stock valuation. When year-end comes there is no need for the headache of counting every item of stock in one go as all stock has already been counted in recent months as part of the perpetual system. OGL's mobile ROAD app enables field-based staff to check stock levels, replenish stock bins and create orders remotely. The app can be used both on or offline and will automatically sync with prof.ITplus later, delivering greater efficiency for your staff. The app is available for both Android and Apple devices. Speak to one of our experts about prof.ITplus and how the integrated Stock Management module will give you the full control and visibility you need to drive your business forward. Get in touch today.